Does it feel like you’re spending all of your time coming up with ideas, staring at a blank computer screen, or struggling to create content for your blog? You aren’t alone. Writing may never become easy, but there are ways to make it less painful. Maybe it’s time to streamline your process and put your productivity pants on. Here’s how. The first thing I do is work through the year and make note of any significant holidays that will drive content (Christmas, Valentine’s Day, Easter). You should plan on publishing related posts 3-4 weeks prior to the given date — then feature at the top of your page and promote. Fill in the gaps from there. If you can, try to work a month or two out. Sticking to a schedule doesn’t mean you’re taking you’re creative process and chucking it — it just means you’re working to be more efficient. Block off few hours a week when you’ll focus on writing, and carry a notebook for those times when inspiration hits you. Yes, every so often there will be a great news story that’s the perfect basis for a post. 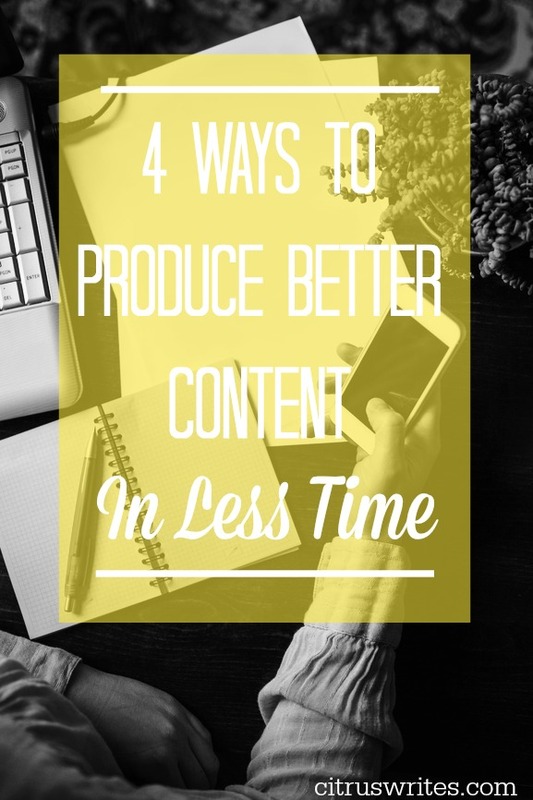 But as a time-strapped blogger you should focus on creating content that’s always relevant — also known as “evergreen” content. Think “how-to guides” and checklists. Depending on your niche you may want to cover “5 Timeless Plants for a Stunning Garden,” or “10 Tips That Will Help You Get Out of Debt Faster.” What’s the benefit to evergreen content? You can continue to promote it via social media long after publication, you can link back from newer posts, you can feature at the top of your blog, you can update and refresh the information, you can use it as a basis for slideshows or videos…The possibilities are endless — and one post can provide you with more mileage than anything super specific. Have you ever thought about asking your network for help with a post? At GoGirl Finance we once asked our audience “what piece of financial advice would you give your 20-something self?” We reached out on social media — specifically Twitter — and were able to curate a really great sample of responses. We were then able to pull the tweets using a program called Storify. By embedding the code from Storify directly into WordPress we created a pretty nifty post that was also visually appealing. Bonus: sometimes you’ll get a response that will tweak your creativity — and provide you with a few content ideas. Super bonus: you can tag responders and encourage them to share via their networks — and increase your reach. I’m not one of those people who is great on screen — but that may not be the case for you. If you’re comfortable getting in front of the camera, I say go for it! Not into recording your own content? (Don’t worry — some of of just aren’t!) Consider embedding a relevant link — you can also approach the original publisher about cross-promotion. Posting anything visual gives you a break from the grind of pushing out posts (and your traffic will thank you — video posts also help to increase user engagement).